If you, like me, peruse the political Internet, you surely read this week about a dramatic episode involving filmmaker and actor Mark Duplass and conservative writer Ben Shapiro. Duplass—I know him best from the outstanding The League—suggested to his "fellow liberals" that if they were interested in crossing the aisle, they should think about following Shapiro, one of America's leading young conservatives. "I don't agree with him on much but he's a genuine person who once helped me for no other reason than to be nice," he wrote. "He doesn't bend the truth. His intentions are good." This thought-crime has since been deleted, by the way. Shapiro is a polarizing figure, and Duplass' attempt at magnanimity led to a bit of a meltdown on the left. They pointed out various past Shapiro thoughts that designated him a Very Bad Person, leading Duplass to write not one but two apology tweets—the first one didn't adequately express his captors/teachers' thoughts. This story had something for everybody: The left loved it because of how much they loathe Shapiro. The right loved it because of how much they loathe hyper-political correctness. 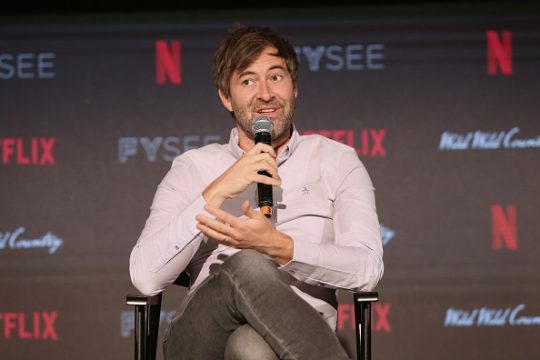 Zack Beauchamp wrote a Vox-splainer about why "Duplass was right to take back his praise." This was no mere controversy; no, it was about "where we draw the lines of acceptable political opinion and partisan disagreement." Heavy stuff. The Mary Sue called Shapiro "truly reprehensible," poetically adding "his intentions are s—t." The Daily Beast recapped the saga and said Shapiro's anti-Donald Trump bonafides didn't "lend credibility to otherwise dubious views and opinions." Pajiba said Duplass is a nice guy "and may still be," concluding he was "educated for his mistake," as creepy a phrase as you could read on something this low-stakes. "Mystifying," like Duplass wrote something in wingdings font. The reason the left's reaction is hysterical—both funny and ludicrous—goes back to what Duplass wrote in the first place. He didn't say Shapiro was right about everything—note he made sure to say they "don't agree on much," as if that isn't obvious—but simply that other progressives might find Shapiro's perspective interesting and in good faith. For what it's worth, Shapiro wrote a piece explaining the controversial remarks and tweets the other sites uniformly use as proof he is a bigoted dirtbag. It's interesting to see what he defends, what was taken out of context, and what he regrets, but, to my mind, it's not relevant to what happened in this situation. The logic of those bashing Duplass was that Shapiro is simply disqualified from engaging in public debate because of a handful of opinions out of millions of words spoken and written. I might note that MSNBC defended Joy Reid, rightfully, from calls for her dismissal because of some nasty blog posts she wrote years ago (her ridiculous hacking claim is another story). There's a difference between thinking someone is wrong and thinking they are evil. Left-leaning media is far too quick to pin the latter label on their political foes to discredit them. It's tiresome, and it's to their detriment. Not only does it confirm in the minds of right-leaning folks that liberals are intolerant, it is stifling intellectually to outright refuse to hear out someone like Shapiro, who is smart, thoughtful, and yes, provocative. You're making yourselves look smaller and pettier, while raising the platform of Shapiro more and more. There are no winners here, but Duplass was the loser. He was forced to atone for a sin he didn't even commit. That isn't "mystifying." It's depressing. This entry was posted in Culture and tagged Ben Shapiro, Media. Bookmark the permalink.